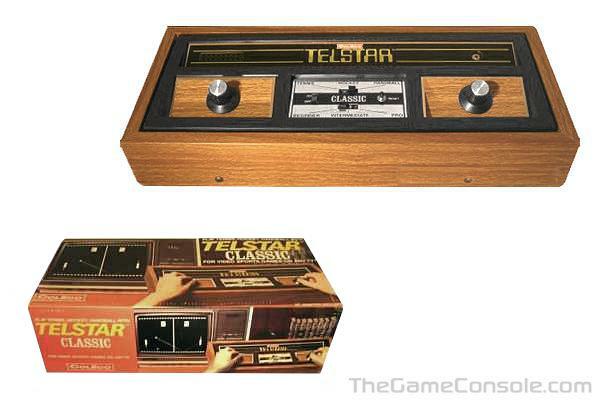 The Telstar video game console produced by Coleco first went on sale in 1976. It was a video tennis game similar to Pong. With a price of $50, budget minded consumers loved it. Coleco sold over 1,000,000 units in 1976. Released the same year as the original Telstar, the Telstar Classic unit was essentially the same as the Telstar. It simply added a classic 1970's wood grain case to it. This unit allowed 3 games (Tennis, Hockey, Handball) and 3 different skill levels. In the Christmas season of 1977, nine new designs of the Telstar were released, each of them doing virtually the same thing. It was labeled "Video Sports" with four different games, all of them PONG games. During it's life span, Coleco had produced about nine different variations of their machine and tossed about one million 'obsolete' machines.